What goes on in Poland on the 1st of February. Lithuanian ministry of energy informed about yesterday’s meeting of the new Orlen Lietuva CEO Michał Rudnicki with the minister Žygimantas Vaičiūnas. According to information published on ministry’s twitter, the subject of the conversation were company’s financial outcomes and its plans. According to Lithuanian side, the atmosphere during the meeting was good. On the beginning of January, Michał Rudnicki replaced Ireneusz Fąfara as the CEO of Orlen Lietuva. One of crucial issues for Orlen’s relations with Lithuania is a dispute over 19-kilometers-long rail connection between Mažeikai and Renge, demolished by Lithuanians in 2008. This made deliveries to Latvia impossible and limited competition. As a result, in October 2017 Brussels fined Lithuanian Railways with nearly € 28 million, that they paid on the beginning of January. Recently, representatives of Lithuanian Railways presented a project of reconstruction of the connection. According to Lithuanians, it should be launched by the end of 2019. 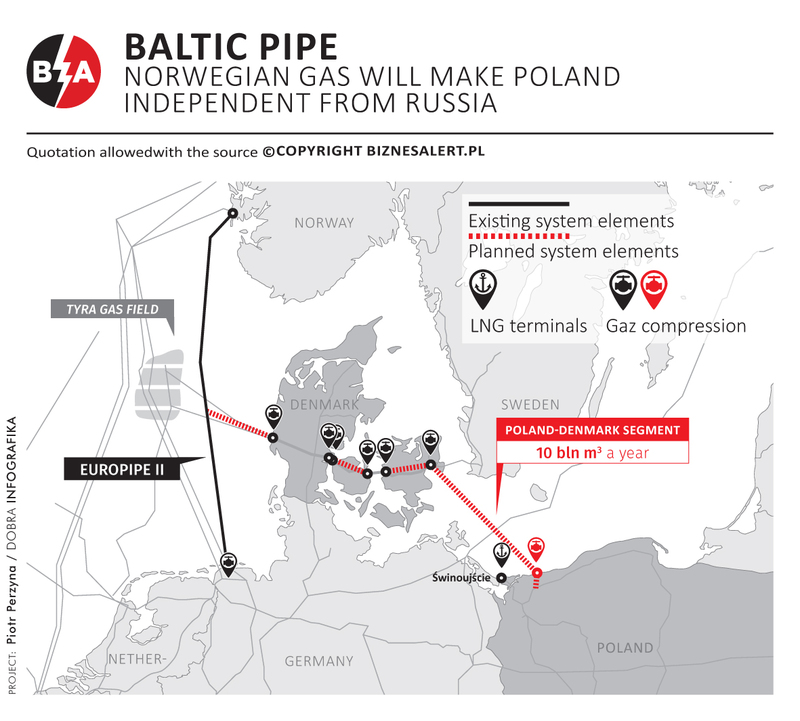 The Baltic Pipe project has received substantial financial support under the Connecting Europe Facility Programme (CEF). The European Commission’s proposal to grant financial assistance was accepted by the Member States on 25 of January 2017. Within the CEF Energy Call for Proposals announced in 2017 by the European Commission, support was granted for the PCI 8.3 Poland–Denmark interconnection [currently known as “Baltic Pipe”], action titled: Preparatory works for the Baltic Pipe Project up to obtainment of all necessary permission(s) in Poland and in Denmark”. The Action will be developed by the Polish and Danish transmission system operators, i.e. : GAZ-SYSTEM S.A and Energinet. The maximum EU financial assistance for the proposed Action amounts to EUR 33.1 million.